How do you remember the people who are important to you? How do you conjure your shared past? Is it in an image, a sound, a smell, a touch? Or do you use words? 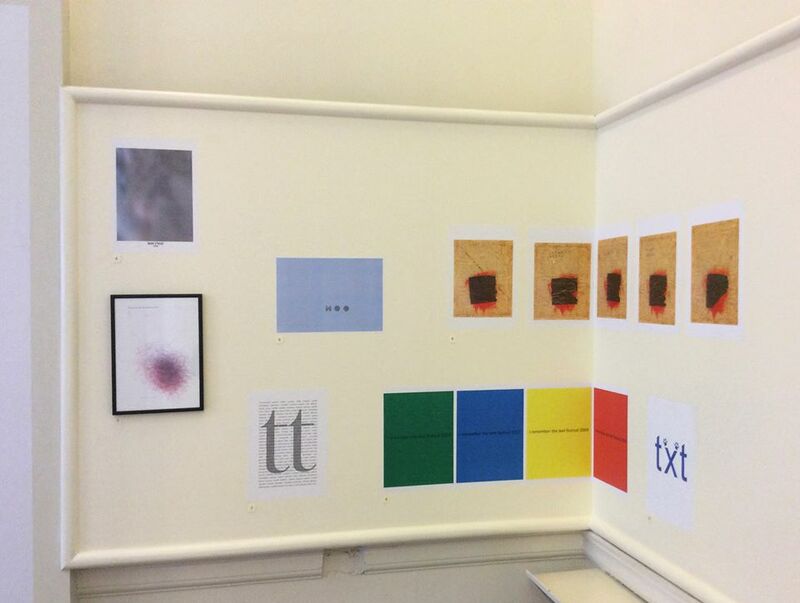 We invited world-leading poets and text-artists to make a language-memory for Tony Trehy, who has directed the internationally renowned Text Festival at Bury Art Museum since 2005. This exhibition celebrates a 10-year anniversary of the Festival and a 20-year anniversary of Tony’s time at Bury. Writing on a wall, an Internet search, a diary entry, a flurry of thoughts … what is remembering and who is it for? Tony Trehy has been the ring-leader of decade-long conversations, new opportunities, challenges and heated debates. Each of his four Text Festivals has added to a continuing dialogue between language and art. Every Text Festival has asked the audience a simple-but-complex question: How do I read? Into the historic space of Bury Art Museum, Trehy has injected text that is a new ‘language art’ for the 21st Century. Bury was once the centre of paper-making in Britain, now it is a pioneer of language-making, with its Text Archive welcoming readers from all over the world. TOTAL RECALL is a guerrilla makeover, an A4 invasion of reading into the larger narrative of looking. Unlike the street signs outside, these are not corporate instructions or sales pitches; they are antidotes. Walls, vitrine, archival box—nary a “book” to be found, but a heap of language left in memory. TOTAL RECALL includes work by local, national and international text-based artists and poets: angela rawlings, Alan Halsey, Barrie Tullett, Carolyn Thompson, Cecilie Bjørgås Jordheim, Darren Marsh, derek beaulieu, Emma Cocker, Eric Zboya, Erica Baum, Jaap Blonk, James Davies, Jayne Dyer, Jesse Glass, Karri Kokko, Kristen Mueller, Lawrence Weiner, Leanne Bridgewater, Liz Collini, Lucy Harvest Clarke, Marco Giovenale, Márton Koppány, Matt Dalby, Mike Chavez-Dawson, Paula Claire, Penny Anderson, Peter Jaeger, Philip Davenport, Rachel Defay-Liautard, Robert Grenier, Ron Silliman, Satu Kaikkonen, Sarah Sanders, Seekers of Lice, Stephen Emmerson, Steve Giasson, Steve Miller, Tom Jenks, and Tony Lopez.